Today, the Sunday Observer magazine is relaunched as Panorama. Leader of the Tamil United Liberation Front (TULF) and President of the Democratic Tamil National Alliance (DTNA), V. Anandasangaree, the veteran Tamil political leader who had represented the Kilinochchi electorate for 15 long years in Parliament told the Sunday Observer. The ‘Deyata Kirula’ exhibition has been extended for another day because of the intervening Poya holiday. 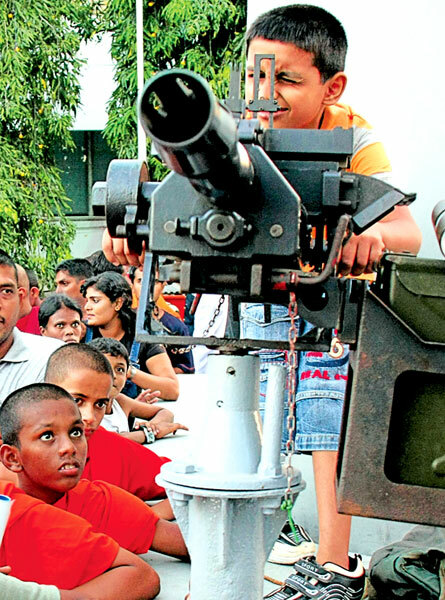 Infantries bulldoze LTTE sea base: Tigers, now fangless!